We know everyone's busy... but we need your help. The Society is an integral part of the geological community, encouraging our students to learn more about the earth sciences and stewardship of natural resources through the issuance of its scholarship grants and its educational assistance, and represents its diverse membership on many important matters including environmental regulations, water quality, and oil & gas exploration & development within Mississippi and the surrounding Gulf Coast area. However, as with most Societies, it is important that we don't wind up with the same small group of people doing all of the work. That's where you come in. Please volunteer to serve on one of our many committees, or to become a Society-sponsored AAPG representative. * The Society is currently looking for members who might be willing to represent us within AAPG. The State of Mississippi has certainly been endowed with extremely rich fossil deposits dispersed throughout much of the exposed geological section. Many of Mississippi’s very unique geological treasures adorn local personal collections and professional collections in museums as far away as Japan. Though the interest in Mississippi’s geology by collectors and scientists is mainly in excellently preserved fossil specimens, many coarse-grained, aggregate-bearing deposits such as the Citronelle and Pre-loess gravels are regularly combed for semi-precious stones such as agate, carnelian, jasper, clear quartz, and fossil palm. Until recently, no precious stones have been reported from Mississippi. Recent detailed geological mapping of the Catahoula Formation in Claiborne County by the Office of Geology’s (Mississippi State Geological Survey) Surface Geology Division under a United States Geological Survey (USGS) Statemap Grant led to the discovery of another precious opal deposit much like the Louisiana locality. The material was first tested for gem quality by the Mississippi Gem and Mineral Society’s artisans, Janie Hand and Joy Rushing. 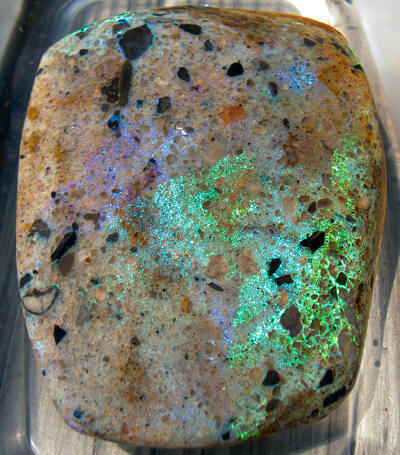 The exquisitely crafted stones show brilliant flashes of fire, ranging in color from green to red. A 7.5 min geological map of the area was published by the Office. Though, no specific details on the location of the outcrop are being divulged to protect it from being raided before it can be completely studied by scientists. 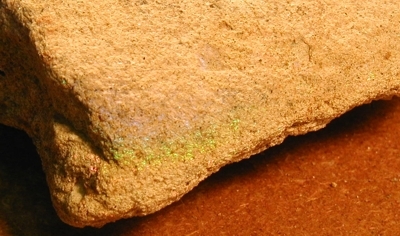 The site is sensitive, not only because of the presence of precious opal it contains, but pre-historic artifacts have also been found in association with the site. These artifacts include pottery, artifacts made from local chert gravel, and artifacts of Catahoula quartzite (of which some are opalescent). Because of the amount of volcanic ash that was deposited in the Catahoula Formation, a number of quartzite bearing exposures can be found along its outcrop belt in Mississippi. 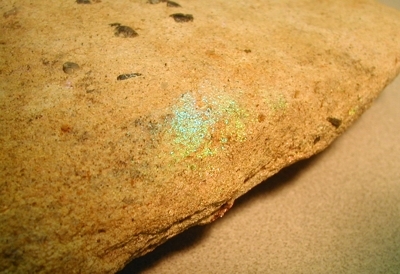 Therefore, it is possible that other exposures of the Catahoula Formation, as well as, other quartzite bearing Formations in Mississippi may also contain precious opal deposits that have yet to be discovered.